Directions: Inject 1 ml dose SQ or IM at 6 weeks of age and repeat at 2 to 4 week intervals until the dog is 12 weeks of age. A 2 dose minimum is required for primary immunization. A single dose annual vaccination is recommended. 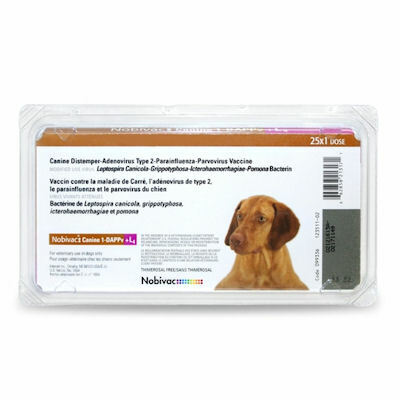 Do not vaccinate pregnant dogs with this vaccine.